With one reform success under our belt in June and a new move toward elevating other needed political reforms in Wisconsin gaining traction, the "dog" days of Summer have been anything but sleepy. There is increasing support and momentum for reforming the dysfunctional state budget process -- a process that, although completed on time last month, was done so largely in secret. Only now is the public discovering what was inserted in the almost $63 billion spending package behind closed doors. Last week, Common Cause in Wisconsin (CC/WI) called for legislative action on state budget reform legislation, and for that action to occur this Summer and Fall. That call to action appeared as an opinion-editorial in the Sheboygan Press on July 15th: Community Conversation: Time for Wisconsin to pass meaningful budget reform bills. The statewide Wisconsin Radio Network also covered CC/WI's call for budget reform last week: Can budget process be reformed? Last Sunday, the Wisconsin State Journal posed the question: At issue: Should party caucus meetings be open?, featuring both CC/WI's support of legislation that would force the Legislature to abide by the state's open meetings law, and State Senate Majority Leader Russ Decker's opposition to opening up all legislative meetings. The Capital Times weighed in this week with a powerful editorial: Reform abusive state budget process calling for enactment into law the reform legislation CC/WI is touting. Late last month, the Green Bay Press-Gazette also made the case for budget reform: Editorial: Legislative reform needed more than ever -- as have a number of other papers across the state. More Wisconsin citizens need to weigh in on this issue and demand that budget reform legislation be added to the campaign finance reform legislation that is being considered and is expected to pass this upcoming Fall. Call, write or e-mail both your State Senator and your State Representative and tell them to call for public hearings this Summer on Assembly Bill 143 and Assembly Bill 42 -- and urge them to support and pass these important measures this Fall. To contact your legislators, go here. To find out who your State Senator and State Representative are, go here. If you tell your legislators that this is important and that you expect them to support these reforms, many (but not all) will respond affirmatively. If you do not, they will not. We can be successful, too, in this quest for much-needed state budget reform and in securing long-needed campaign finance reform. But our collective voices must be heard. And to be heard, they must be loud. Let your elected officials in Madison know that they are being watched and will be judged on their commitment to both opening up Wisconsin's budget process and removing all of the campaign cash grubbing from that process as well. For the first time in 32 years, the biennial state budget has been enacted into law before the June 30th statutory deadline. Obviously, that is a good thing. But the process of constructing and deciding the 2009-2011 budget was as secretive as any budget process in memory. Most of the key decisions and changes were made out of the public eye, often in closed partisan caucus meetings that excluded both the media and other observers. Only authorized staff were present while legislators made key policy decisions. And, while the Assembly Democratic leadership imposed a rule prohibiting all members of the Assembly from engaging in campaign fundraising while the Assembly was considering the budget, the prohibition did not include the leadership legislative campaign committees -- which in previous years have raised the lion's share of the campaign money during the budget period. The State Senate and Governor, meanwhile, raised campaign funds without hesitation during the entire budget process. Common Cause in Wisconsin (CC/WI) strongly believes that the best time to reform the state budget process -- which almost everyone in Wisconsin agrees is deeply flawed -- is now, while the bitter taste of this past budget process is still fresh in the mouths of the public and of some lawmakers. An effective way to begin the reformation of the budget process would be to enact into law two measures that have been introduced in the Legislature. Both measures should be expedited and advanced by holding public hearings this summer -- and then considered and passed when the next legislative floor session commences in September. 1.3.7. State Legislature. In General the open meetings law applies to the state Legislature. Sec. 19.87, Stats. The law does not apply to any partisan caucus of the senate or assembly. Sec. 19.87(3), Stats. The open meetings law also does not apply where it conflicts with a rule of the Legislature, senate or assembly. Sec. 19.87(2), Stats. As a consequence of the above exemptions to the law, the public is often shut out of the most important budget decisions. Clearly, this is a law that has long been in need of change. CC/WI supports ASSEMBLY BILL 143 -- which simply put, would rescind the Legislature's exemption from the state's open meeting laws -- passed by the Legislature thirty three years ago. It is bipartisan legislation introduced by State Representatives Cory Mason (D-Racine) and Dean Kaufert (R-Neenah). Other sponsors include Reps. Terese Berceau (D-Madison), Gordon Hintz (D-Oshkosh), Roger Roth (R-Appleton) Jeff Wood (I-Bloomer), and Sen. Alan Lasee (R-De Pere). 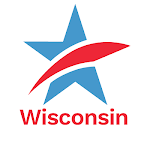 CC/WI also strongly supports Assembly Bill 42, bipartisan legislation that would prohibit elected state officials and their campaign committees from fundraising during state budget deliberations. Rep. Mark Gottlieb (R-Port Washington), the Assistant Minority Leader, is the principal author of the measure which applies the fundraising ban to the legislative campaign committees -- which do most of the fund raising during the budget period -- and extends the fundraising restriction for the governor and lieutenant governor to include the period immediately after the general election when they are involved in drafting the governor’s proposed budget. This is a version of the budget fundraising prohibition measure first suggested by CC/WI to then-State Senator Lynn Adelman (D-Waukesha) who introduced it for the first time in Wisconsin in 1997. Other states -- including Minnesota and even Texas -- have a similar common sense measure like this in place. Wisconsin must not delay enactment of AB 42 any longer. At a CC/WI State Governing Board Meeting in February, Assembly Majority Leader Tom Nelson (D-Kaukauna) and Rep. Jeff Smith (D-Eau Claire), the Chair of the Assembly Committee on Elections and Campaign Finance Reform, both said that the Assembly leadership supports AB 42. Further, while Senate Majority Leader Russ Decker (D-Weston) and Governor Jim Doyle have expressed support for this measure in the near past, Decker appears to have withdrawn his support. On June 16th, the Milwaukee Journal Sentinel reported: "Senate Majority Leader Russ Decker (D-Weston) doesn't want to approve the proposed [ban on campaign fundraising during the budget] law, which a bipartisan coalition of Assembly members support, saying current laws are adequate because legislators have to disclose who is funding their campaigns." Despite this outrageous Decker flip-flop, the Legislature should press forward and make this measure a priority. Assembly Speaker Mike Sheridan (D-Janesville) and Decker -- or other State Senators in defiance of Decker -- should make reforming the state budget process a priority now and put Assembly Bill 143 and Assembly Bill 42 near the top of their list of reform legislation to pass and get enacted into law this September. The lurch from a wants economy to a needs economy, where parsimoniousness has taken over for the credit-card driven profligacy that we had come to know and love, has created a whole new endangered species list that has nothing to do with snail darters. Everybody knows about the fall from grace of the automobile and the bankers and a few reckless insurers, along with anyone in the construction business, particularly home construction. All that discretionary stuff people used to buy to fill up their McMansions has pretty much gone the way of the McMansions themselves. It would seem that those of us who are waiting for these former lynchpins of the economy to come back are in for a very long wait indeed. What should not be overlooked are some other one-time favorites that are no longer the beneficiaries of our fiscal generosity. Any business that depends on healthy advertising and promotion spending is on life support. To take an example at random, sports events are beginning to wonder where the next big purse will come from. The Greater Milwaukee golf open, which was rechristened the U.S. Bank Open, will certainly go back to its old name now that U.S. Bank is on the government dole and will probably go away altogether. Lining up sponsors for these kinds of events when the sponsors have to borrow money to pay to get their names in lights is not working. Trade and professional organizations of all kinds, sizes, and shapes are finding that their place on their members’ priority lists is at or below the cutoff line. Worthy charities are suffering. The NY foundation that puts on a big annual dinner to raise money for research on Lou Gehrig’s disease canceled this year’s gala because its managers calculated that it would do no better than break even. Do-good organizations are doing a lot less well, too. Now that those catalogue companies that haven’t run away altogether have run to the internet for sales, if it wasn’t for pleas from political, social, and economic advocacy groups and the regular stream of offers from Bank One’s credit card division, I wouldn’t get any mail at all. This brings up the question of whether every dark cloud has a silver lining. Campaign spending hasn’t been put to the test yet. There have been no serious campaigns since the economy hit the wall, the super-rich became merely rich, and the nickel and dime donors’ piggy banks went on empty. Is there any reason to think that politics will be spared? At the very least, those candidates who have become accustomed to eight-digit campaign spending might have to scale back to seven digits, perhaps even the low-seven digits. Too bad about that for the TV-ad addicted campaign managers, because the once-lush and mighty TV broadcasters have a lot of space and time they will be selling at bargain prices. No one seems to know what the new economy will look like, but it is becoming increasingly clear that it will not be a simple reincarnation of the old economy. And the most important reason it will not is because of dramatic changes in our priorities.